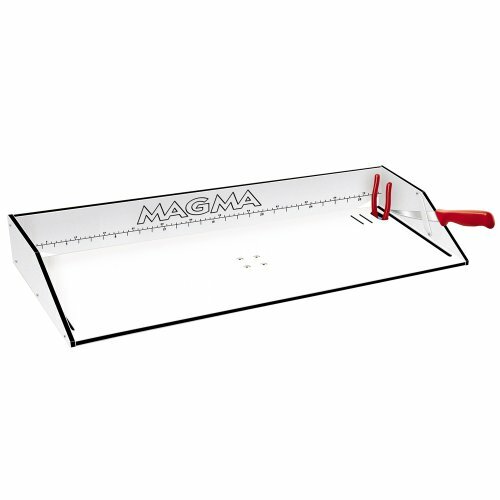 Magma's versatile Econo-Mate bait and filet tables now have an attractive new look, BLACK. This new color core material has thin white cap layers with a bright black center. Our "Magma" logo has been engraved to show the black core for a clean look. 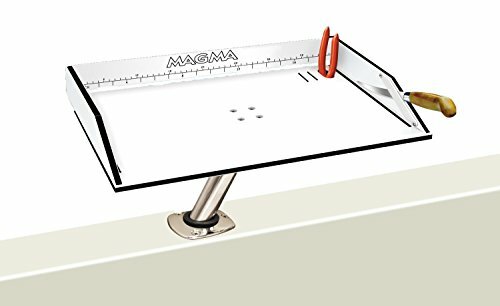 Constructed with the finest commercial quality UV stabilized compression molded high-density polyethylene that is virtually indestructible, practical and more sanitary than wood filet tables. 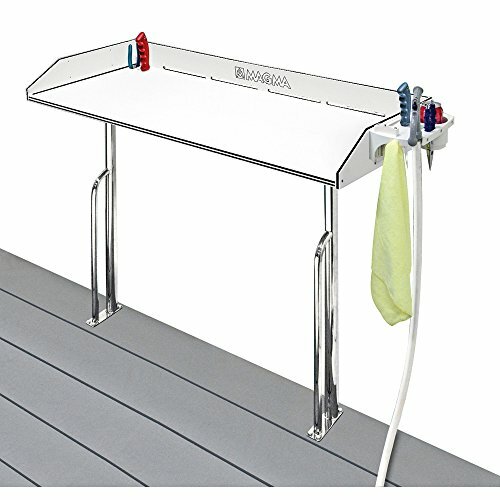 Not just designed for bait preparation or fish cleaning these tables are FDA approved for food preparation and service. The material will not crack, peel, mildew, absorb bacteria or fish odors. 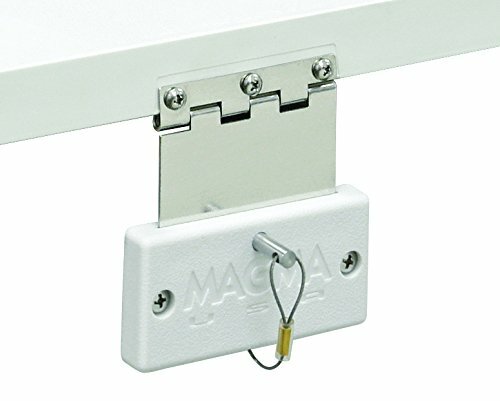 With an injection-molded polyethylene mounting bracket and stainless steel push/pull pin, these tables attach and detach instantly. 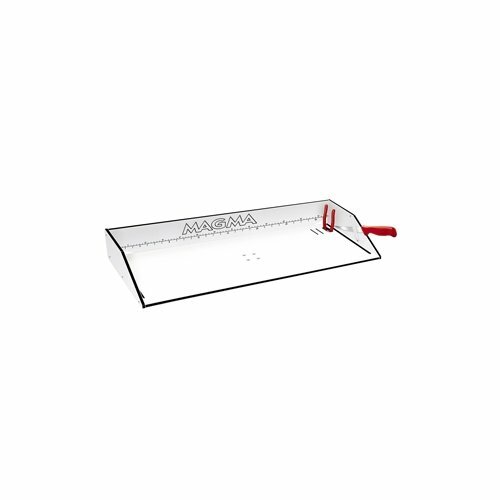 The table is supplied with a stainless steel hinge bracket that folds completely flat for compact storage, convenient knife/pliers storage slots, full length slotted back and side channels for drainage with all edges and corners rounded for safety. 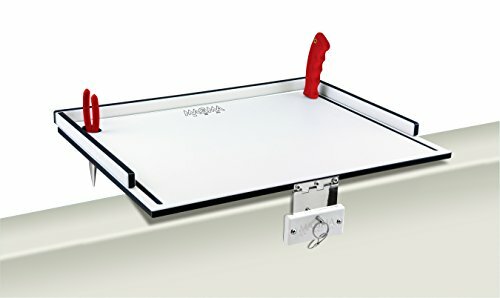 Completely assembled with nothing else to buy make this the perfect compact bait/filet table for the Fisherman who is on a budget or limited for space. 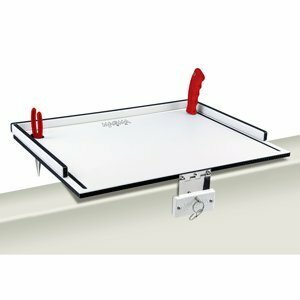 This gunnel mount instantly attaches or detaches using a stainless steel push-pull pin allowing mount and table to be folded flat for storage. 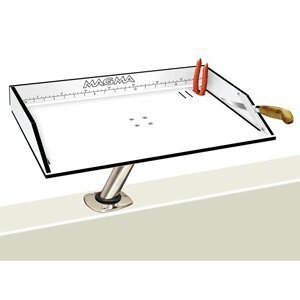 Allows fisherman to install multiple filet table mounting locations around the boat. 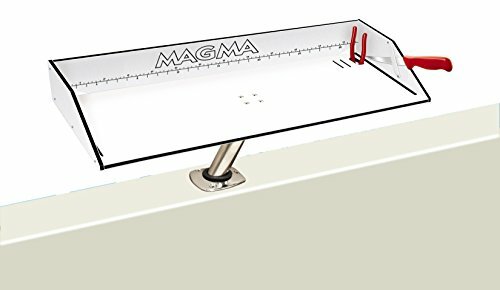 The Amazing Quality "Magma Econo Mate Bait Filet Table - 12"" - White/Black"
The Amazing Quality "Magma Econo Mate Bait Filet Table - 20"" - White/Black"